If you love finding unique and distinctive gifts for friends, family and business associates, you will love this money clip inlaid with a genuine JFK Presidential Seal Half Dollar! 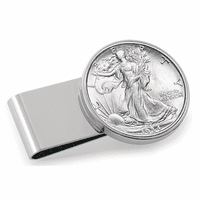 The money clip is polished silver-plated metal, with elegant detail of a gold American eagle on silver coin background. 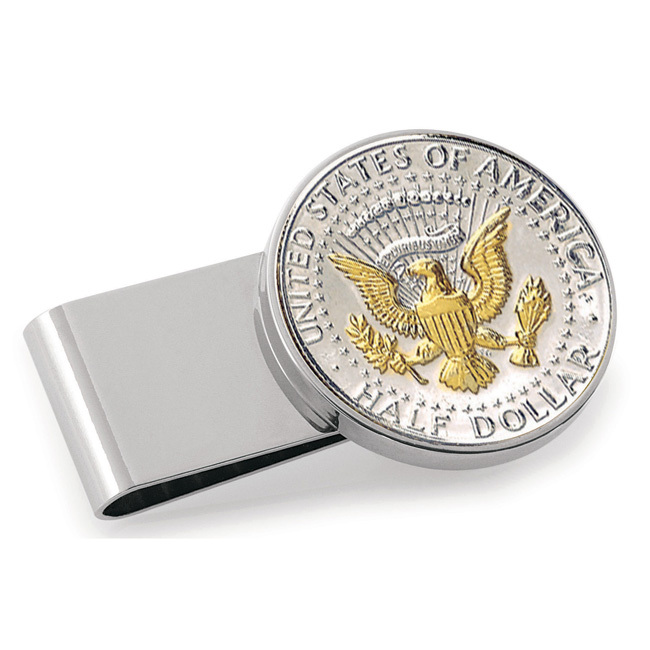 The French-clip style secures up to 25 folded bills. 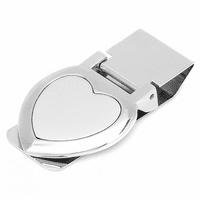 Add a personalized element with engraved initial, monogram or name, for free! 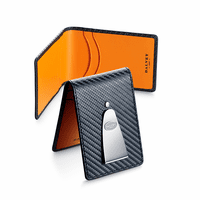 The money clip comes in a gift box and includes a Certificate of Authenticity. Dimensions: 2" x 1 1/2" x 1/8"
Very pleased with the quality of my purchase and the engraving. Very pleased with the quality of my purchase and the engraving. I was also very pleased with the speedy processing of my order and delivery! Thank you so much!